May postings began with two wildflowers: a lily (Glacier Lily), and a wild orchid (Fairy Slipper). Their tenure is now over. 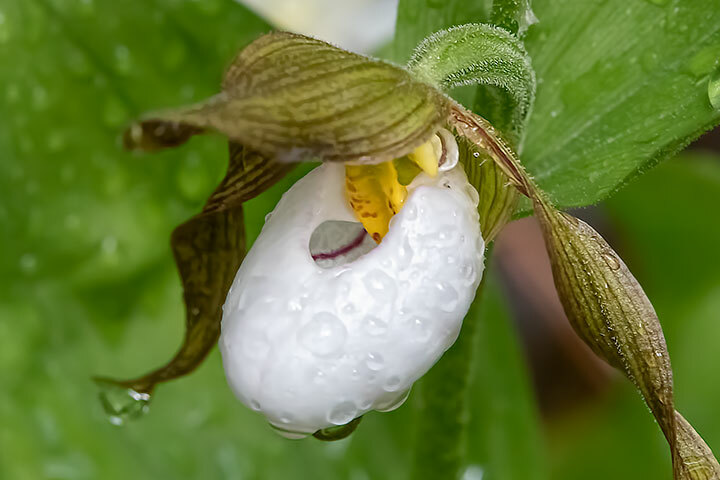 June postings begin with two more wildflowers: another lily (Queen’s Cup), and another wild orchid (Mountain Lady’s Slipper). The Queen’s Cup was spread across the forest floor in the thousands. This is one of only six Mountain Lady’s Slippers found among the myriad of Queen’s Cups. A recent shower has festooned this uncommon wild orchid with raindrops. Pure elegance…both these lovelies! 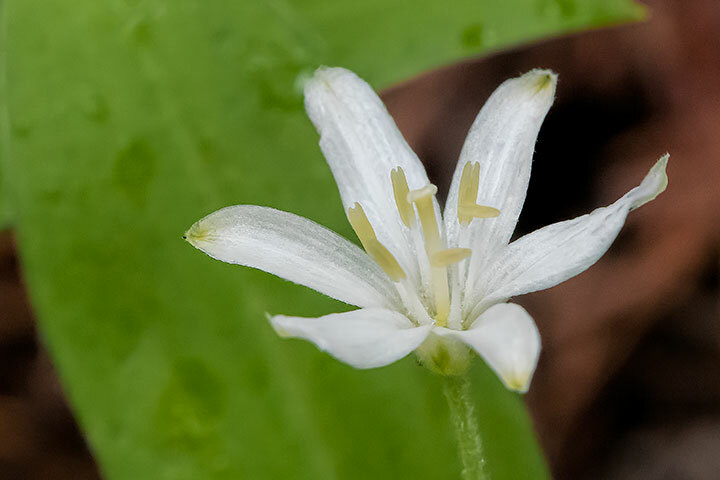 Lots of Clintonia uniflora in my surrounding forest, but no Mountain Lady Slippers…so thank! I’ve often mused about how common Clintonia is, by comparison to its ‘utility’ for animal forage or lack of use by indigenous cultures. If you want fairy slippers, Alistair is definitely your go-to guy! If anyone can find them, with regularity, it is he! Beautiful! !